New policy allows users to receive passwords via voice recording instead of text message. The Knesset's Special Committee for Public Petitions held a meeting regarding the identification options provided by banks and government authorities to those who own "kosher" cell phones. 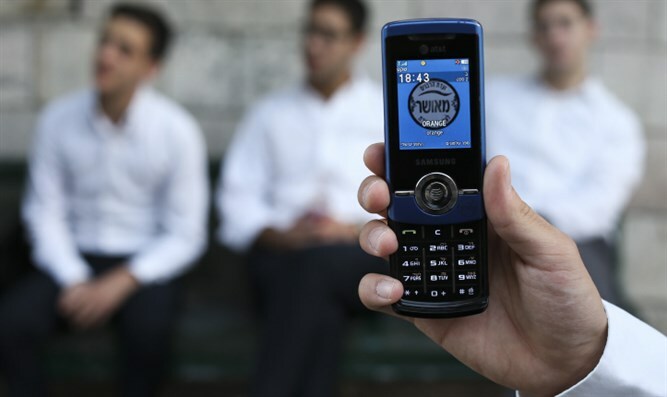 "Kosher" phones do not have internet and do not support text messaging. Currently, many insurance companies, banks, and government ministries send text messages containing single-use passwords to users in order to verify their identities. Committee Chairman Yisrael Eichler (UTJ) opened the meeting by discussing complaints he had received from kosher phone owners who could not access the services and information available to other cell phone users. "The government's services and information must be equal for every citizen," Eichler emphasized. "We need to think out of the box and find technological solutions for recordable voice messages, since 200,000 kosher phone are sold in Israel every year and used by 100,000 families." Yogev Shamani, who runs the Prime Minister's Office's Accessible Government Unit, said that a new system was introduced two weeks ago offering voice recordings of passwords. This system, he said, solves a large portion of the issues. "Everything you need in order to identify yourself to a government office for the purpose of changing your address, inquiring whether you can leave Israel, services in the court management system allowing access to legal cases - all of this is already available via voice password. Slowly, we are adding additional ministries. The National Insurance Institute is a problem, since they work slowly and they're not subordinate to us. They work on their own, and I would be very happy to see this change." Bank of Israel representative Eli Sholstein noted that banks were ordered several months ago to allow kosher phone users to register via voice password instead of via text message. All of Israel's banks have implemented this policy. Eichler praised the Accessible Government staff for responding to owners of kosher phones and those with vision difficulties who have trouble reading text messages. Concluding the meeting, he expressed hope that the National Insurance Institute and private companies would implement the policy as well, and promised to ask the health funds to adhere to the Accessible Government's programs.